The 13th Doom Lord gear leaves this Friday! DOOM and MORE SKULLS are waiting for you... but they won't be here for long!the 13th Doom Lord gear leaves this Friday, December 18th at 6 PM. 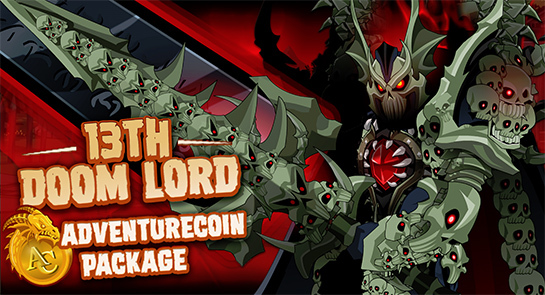 All packages will also come with the 13th Doom Lord character page badge, so you can show the world that YOU appreciate MORE SKULLS! Correction: the Brightoak Avenger Blade was removed on December 11th. The Brightoak Avenger rares shop will still leave tomorrow, December 18th.